At some point in our lives most of us will suffer from pimples or acne, however chronic and persistent acne can occur in anyone from their pre-teens to late 40’s. If you suffer from acne breakouts and live in the Brisbane or Sunshine Coast areas then Image by Laser are here for you. What is Omnilux Blue Acne Treatments? Omnilux Blue LED Acne Treatments are the safe, quick, painless, and effective solution to acne and breakouts for all ages. 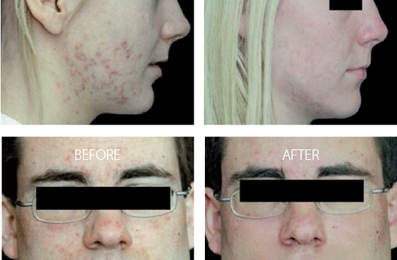 What are the benefits of Omnilux Blue Acne Treatments? Over the counter remedies often have little effect on this emotionally distressing condition and frequently acne sufferers conceal the condition, or refrain from public engagements altogether. 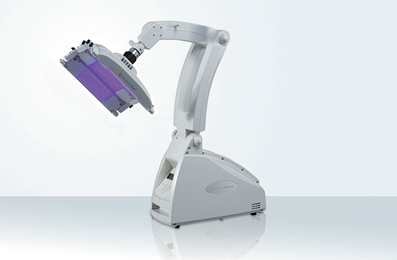 With Omnilux Blue LED Acne Phototherapy you can come out of the shadows, and let your natural beauty shine! How does Omnilux Blue Acne Treatments work? Our trained staff use a tightly regulated wavelength of light, emitted via LED’s or light emitting diodes. This light destroys the acne causing bacteria that occur naturally on the skin of acne sufferers, resulting in a reduction of up to 90% in acne. Far superior to other light based acne treatments that achieve an average of 73% clearance, Omnilux Blue LED Acne Phototherapy is your solution to clean, clear, and beautiful skin. What technology do you use for Omnilux Blue Acne Treatments in Brisbane? Image by Laser Brisbane and Sunshine Coast use the Omnilux Blue LED as a drug free, pain free and safe way to treat acne and breakouts. What does Omnilux Blue Acne Phototherapy treat? Often once the breakouts have subsided red or purple acne scarring sometimes lingers, leaving the skin looking blotchy. Image by Lasers photo rejuvenation treatments specifically target the acne scarring, removing the redness and smoothing out the texture.